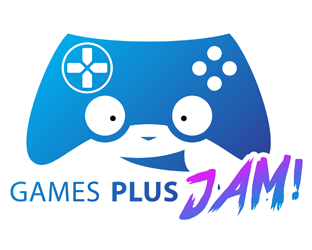 Welcome to the first ever GamesPlusJames community Game Jam! Building and making complete games is a lot of work, that takes a long time. But that's where game jams come in! You have 72 hours, you're given a theme to inspire you and then you just make something small and fun! Whether you've yet to release a game or have released a bunch, developing and building a small game in one weekend is a great way to test your skills, and most importantly at the end of it all you've got a game officially released. And if you're in the middle of making a game, doing a game jam can help give your brain a break from your normal design problems and after the jam you'll feel even more inspired to get back to your game! Some amazing game jam games have been made in just a few hours, and as it's a game jam, your entry doesn't need to be beautiful and polished, just getting across the core mechanic in a fun way is more than enough! There is no requirement to spend the full time allowed making your game, feel free to submit early or enter in the middle of the jam. So join the jam and lets make some games! The rules are pretty straightforward whether you’ve participated in a game jam before or not! Try and stick to the given theme, but don’t be afraid to take it in an unexpected direction! You can use publicly available assets (e.g. Kenney asset packs) but make sure you mention it in your submission! Build your game for any platform, but make sure there is a Windows build so I can play it on stream! I will be streaming development of my entry at twitch.tv/gamesplusjames during the whole weekend! You can join me there while working on your own game, or even better stream yourself working on a game! If you do stream make sure to include the hashtag #GPJam in the title so people can find you and I can tweet you out! I will also be playing all entries over at twitch.tv.gamesplusjames after the jam has ended so make sure you stop by to see your entry being played! What programs can I use to make the game? Anything you want! Use Unity, Unreal, GameMaker, Construct, Flash, Godot, your own engine or whatever other software system you want to use. It doesn’t matter what you build it in, just make a game! How can I submit my game? Play and compete with frends for the best score! Survive a deal with the devil. Tempuss is no ordinary cat. He is the Last Timebender, possessing the power to control time itself. A tiny game jam submission focusing on time disruptions! A game about distracting guards as an undercover agent. A game about running out of time. A simple 2D U.F.O. racing on the planet surface of Oiros against time and danger. Ward off enemies from the wall defended by your kin over generations. Time Out! the 2 player trivia battling game! #GamePlusJam - "Time". Night Time, where a fairy will kill bad ghosts who tries to wake up the boy from his dreams. Travel from present to future and back! Control time and solve puzzels. Solve puzzle using the runs you've made in the past! You're about to do what you'll never do before. There's a time bomb in your house. Defuse it and save your house! GamesPlusJam 2018 submission. You play as Jon. A mechanic working at TimeCo, tasked with stopping the machine ripping time into shreds. Throw fedoras, manipulate time, be a badass.. Old man. Try not to get caught! You've been hired to push carts at the local supermarket! Can you get the job done without dying or getting fired? Pay your rent by cheating the lottery. Protect your mountain Thyme from sheep and decay in this 'Thyme-Management' game. Tiny retro-style game about running out of time. Race against the clock on a voyage to a new Planet! A platformer in which you fix a few communication towers in a limited amount of time. A top down shooter in which you can create time bubbles that speed, slow, or reverse time inside them. Try to do all the tasks before bedtime can you do it?